Can you hear it calling ? Do you feel warmer ? 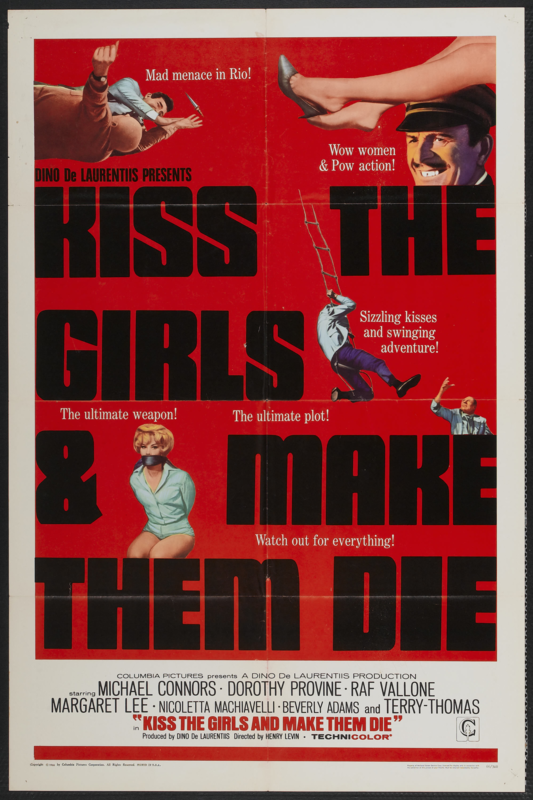 As the hired hand is bought ? "I am the good shepherd. 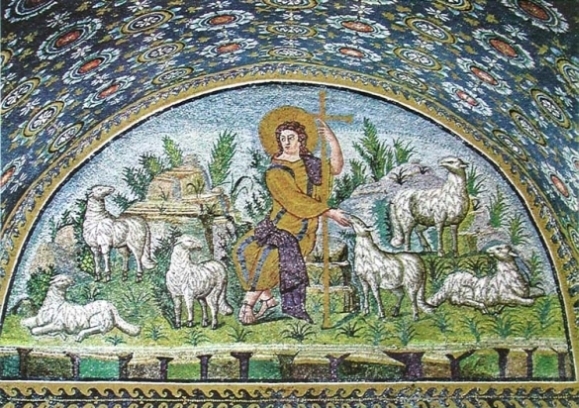 The good shepherd lays down his life for the sheep. The hired hand is not the shepherd who owns the sheep. So when he sees the wolf coming, he abandons the sheep and runs away. Then the wolf attacks the flock and scatters it. The man runs away because he is a hired hand and cares nothing for the sheep." Here, Jesus is depicting the Jewish rabbinic leadership as 'hired hands'. Years later, Ian would revisit this biblical passage on Can't See Me. 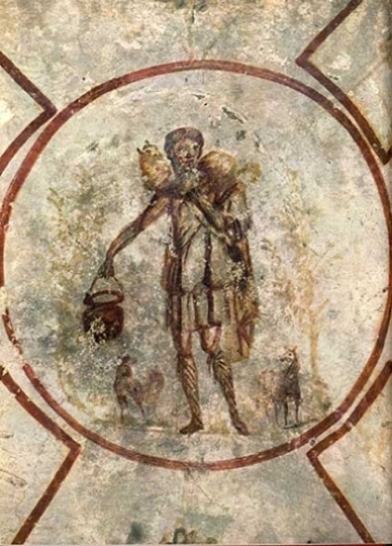 Left: Good Shepherd fresco, Catacombs of San Callisto, 3rd century. Right: Mausoleum of Galla Placidia at Ravenna, 440 AD.